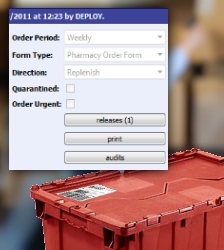 idWhere© Inventory Management System is an Enterprise software solution for “Advanced Pharmacy, Laboratory, Hospital, and standard product Inventory Management”. 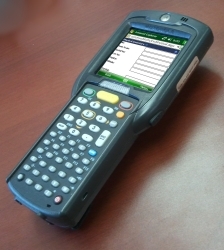 idWhere takes advantage of barcode and RFID technologies to provide inventory accuracy and performance, while complying with HIPAA regulations. idWhere’s Alerting system keeps everyone up to date via on-screen notifications, email, email-to-SMS, SNMP and more. 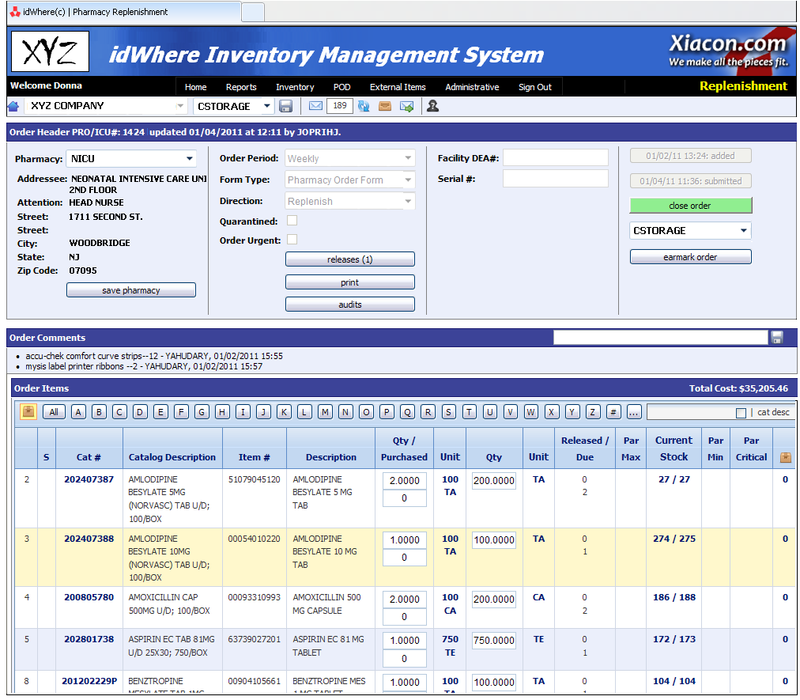 idWhere offers an easy-to-use web browser interface for managing inventory, performing administration tasks, reporting, and much more. 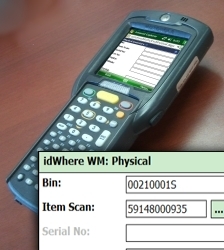 idWhere uses the latest in 2D barcode and RFID technologies to be able to store and capture the item number, lot number, expiration date, quantity and packaging type in a single scan. The labels also identify the user that created the barcode and the full description of the product. RFID tags are used to track the addition and removal of medical devices, vaccinations, mobile lab equipment, and to assist with billing and the tracking of patient care by monitoring which products are still on the shelf, which products have gone to what patients, and when they were provided. 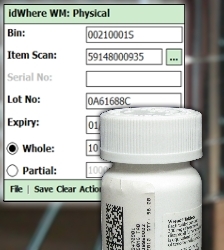 For pharmaceutical products, idWhere is tightly coupled with a leading national Drug Data File for providing pricing, product descriptions, and collateral clinical information on drugs approved by the US Food and Drug Administration (FDA), plus commonly used over-the-counter drugs, herbal remedies, and dietary supplements.